Round bottom bag with adjustable wide strap. 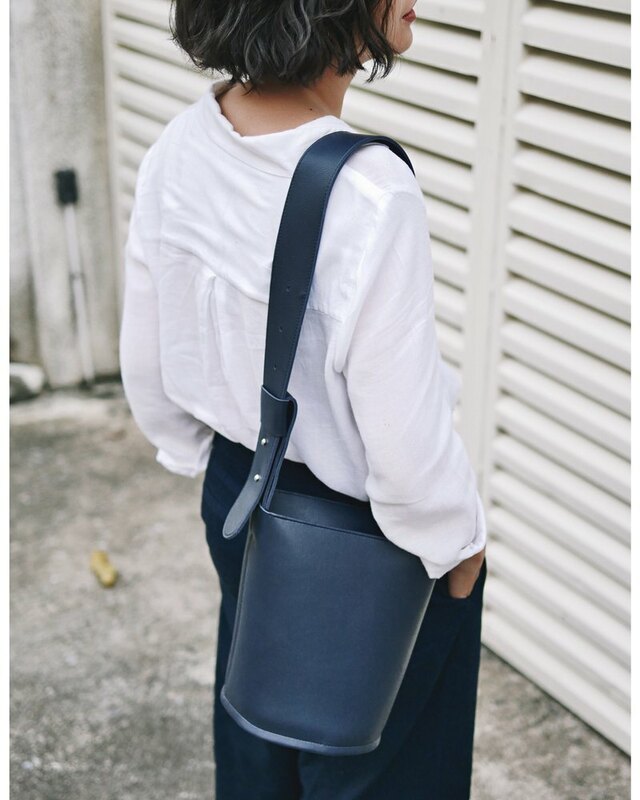 Bold bucket bag :: Colors : Black, Navy, Light grey, Red wine, Dark olive green. Material : PU leather (Artificial leather) Size : Width 18 cm. Height 24 cm. Depth 18 cm. Strap : Adjustable strap 68-85 cm. (Width 5 cm.) - Round bottom bag with 1 zipper at the mount of the bag. - 1 pocket inside the bag.